If you have come looking for a devil’s food cake, I’ve got you covered. 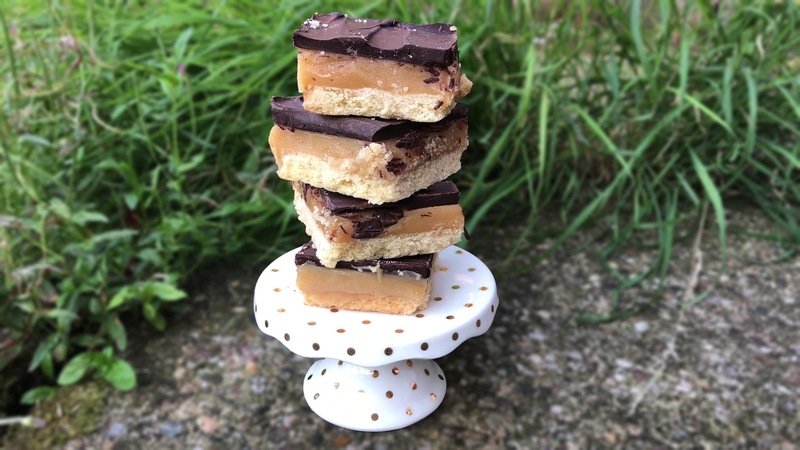 This recipe is a classic and will go down a treat – I promise you that! 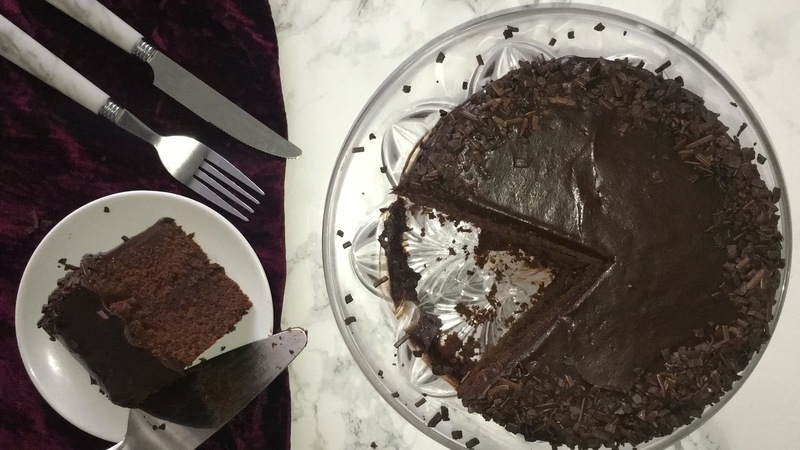 This weeks recipe is for a devils food cake and was requested by Chloe over on Instagram, so here you go – your suggestion made into a creation! 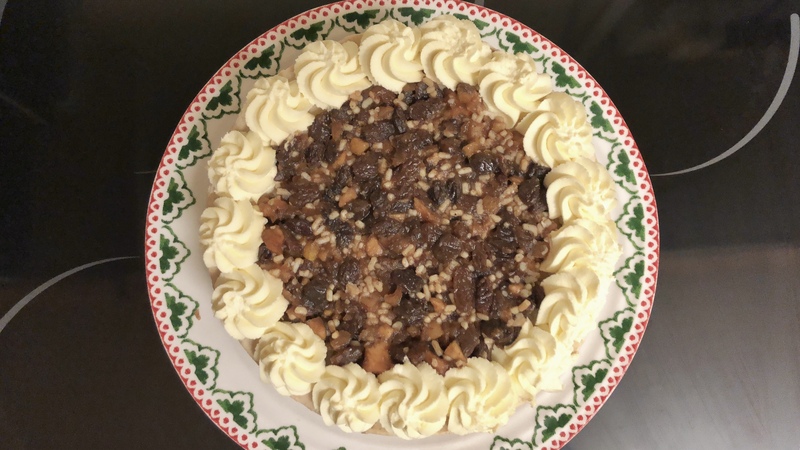 If you’d like to make a request for a recipe, feel free to message me over on Instagram or twitter, comment on a YouTube video or submit a contact form and you might see your request made (currently I’m looking for Christmas and holiday themed recipes!). Anyway, this cake has been enjoyed by many around the world over may years and I can see why. It’s a chocolate cake with chocolate icing, what’s not to love? Seriously. If you love chocolate, then this cake is for you. Making the cake isn’t too hard, nor is the icing. The hardest thing about this cake is not wanting a slice straight away, that’s the honest truth! To making your cake, you’ll want to do some prep work which will save you so much time in the long run! Preheat your oven to 180˚c/350˚f, weigh up your ingredients and line or butter and flour your 6 inch cake tins, if needed (set them aside until needed later on). Start making your cakes you’ll want to combine all the dry ingredients together in one bowl and into another bowl add In your wet ingredients and combine them, set both aside until needed a little later on. Into your bowl of choice (I went with my stand mixer bowl but feel free to use whatever you have or prefer) place the butter and sugar and beat together on a medium-high speed until well combined. Once well combined, you can then add in the eggs. One egg at a time, beating well in-between each addition, then give the bowl a good scraping down, just to incorporate any bits that may have not been fully worked in earlier on. Next, you’ll want to start adding the dry and wet ingredients by alternating between them, starting and ending with the dry ingredients. 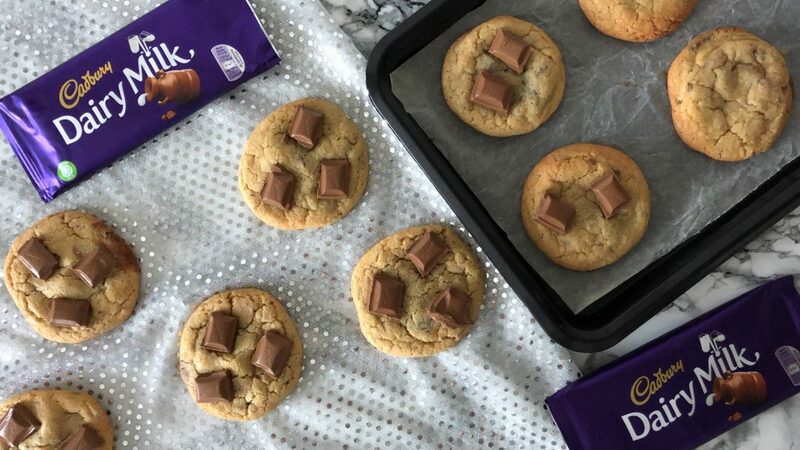 You’ll want to add the dry and wet ingredients in roughly 3-4 stages, whichever works best for you, just remember to start and finish with the dry ingredients. Try not to over-mix the batter at this stage, otherwise the cake will be tough in texture. 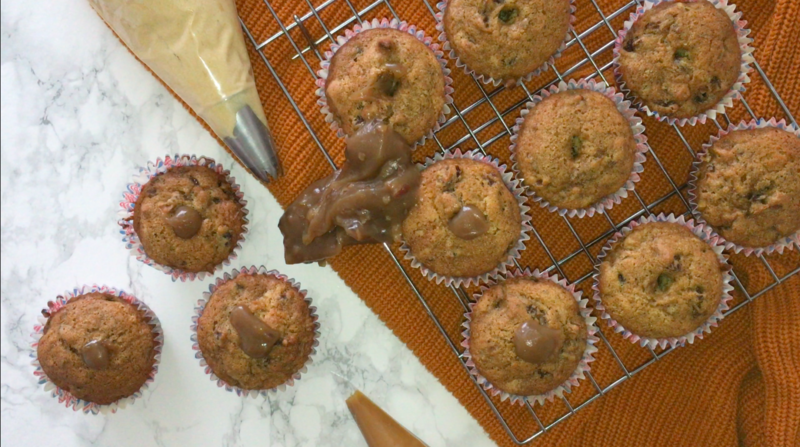 When it comes to putting the cake batter into the cake tins, you can do it two ways. 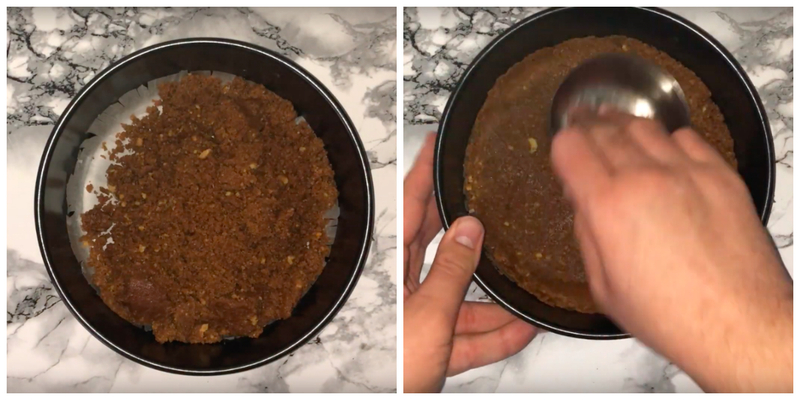 The first would be to do it by eye, just scoop roughly the same amount into each cake tin and then level it off or you can do it the other way. 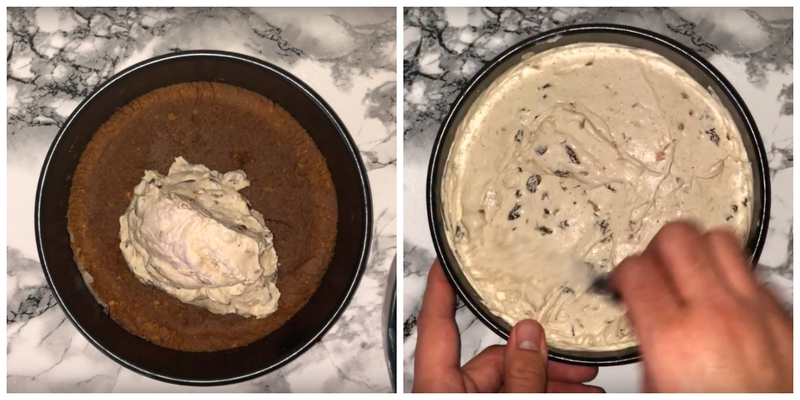 The other way is more accurate by far, so you get the weight of your cake batter (using digital scales) and simply divide that amount by 2 and place that amount into each cake tin. Either method will work, but for me I always use the 2ndmethod to ensure accuracy. 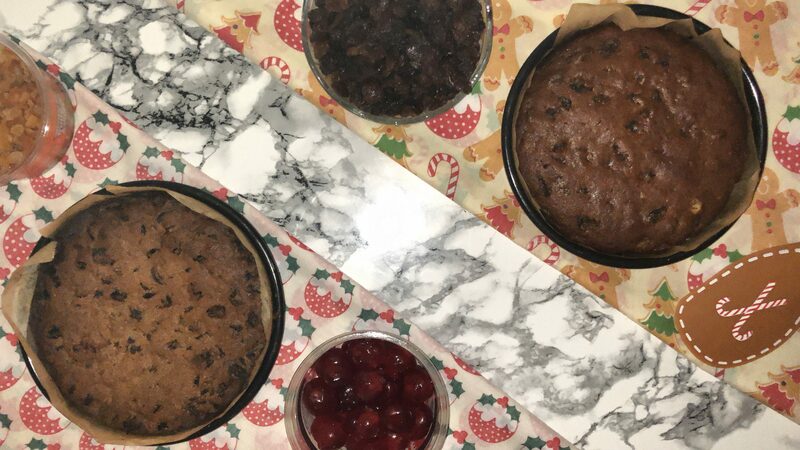 Place these cake tins into your oven and bake for 25-30 minutes (or until a tester comes out clean). 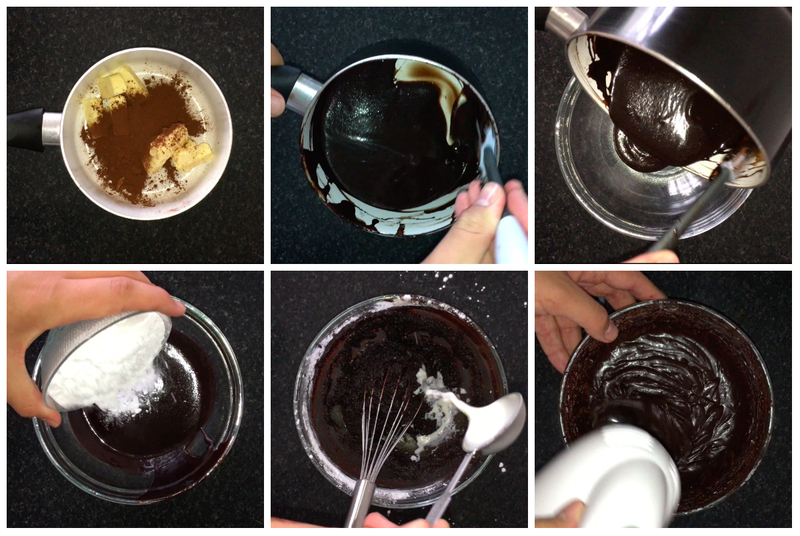 While your cakes are in the oven baking, this is the perfect time to make the chocolate icing filling and coating. 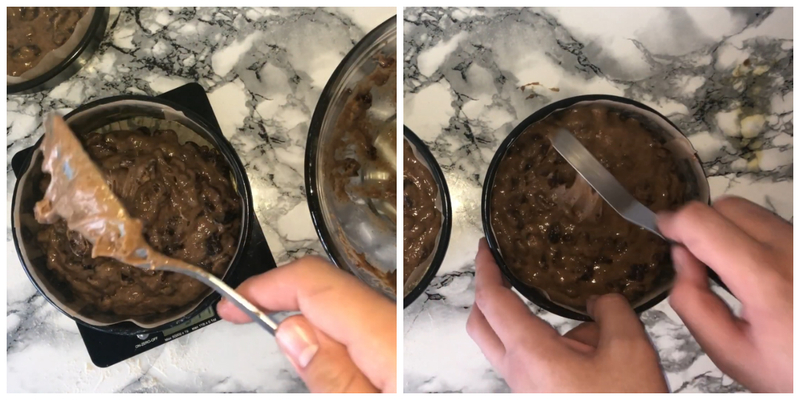 This is easy and doesn’t take a long time at all, start by placing the butter and cocoa powder into a small saucepan and place over a medium heat and continuously stir it when it starts to melt, once it’s ready it should be smooth and glossy. 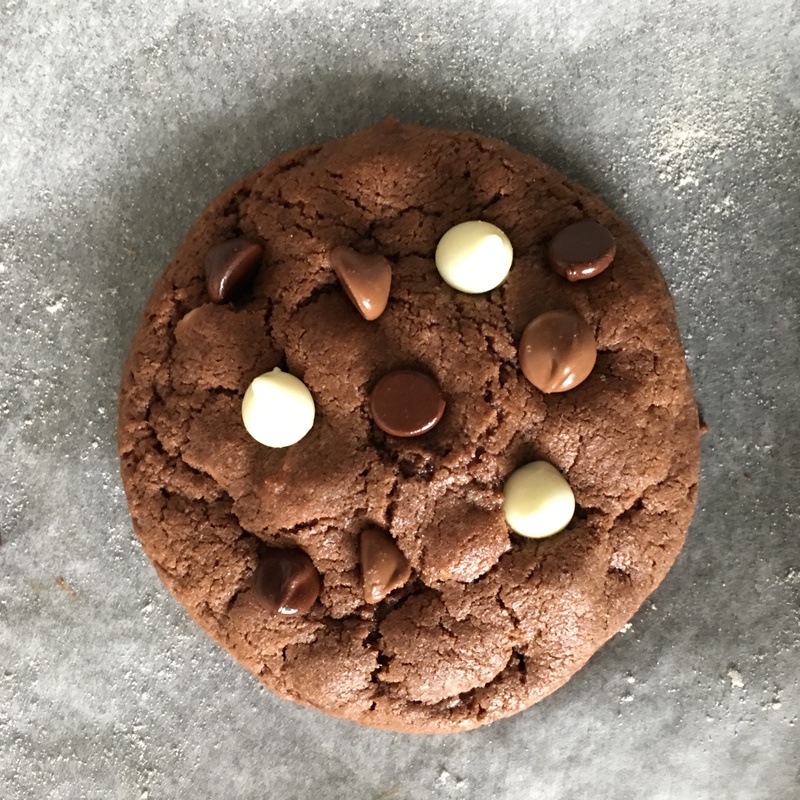 Transfer the chocolate mixture into a medium mixing bowl and then add in the icing sugar and combine them together until they come together. 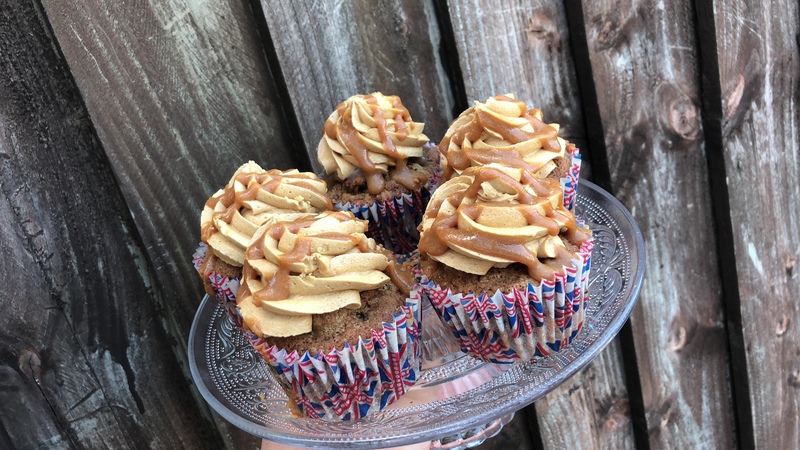 To finish the icing, add in 1 tbsp of milk and beat it in until its fully combined, I recommend using an electric hand mixer to achieve this result but feel free to use a whisk. I used around 2 ½ -3 tablespoons of milk but the amount will vary for each person, try not to add too much milk at this stage. Once you’ve got your icing, you may think it looks a little runny? Don’t worry, place it in the fridge just until you need it and it will thicken it up a fair amount, making it a spreadable consistency. 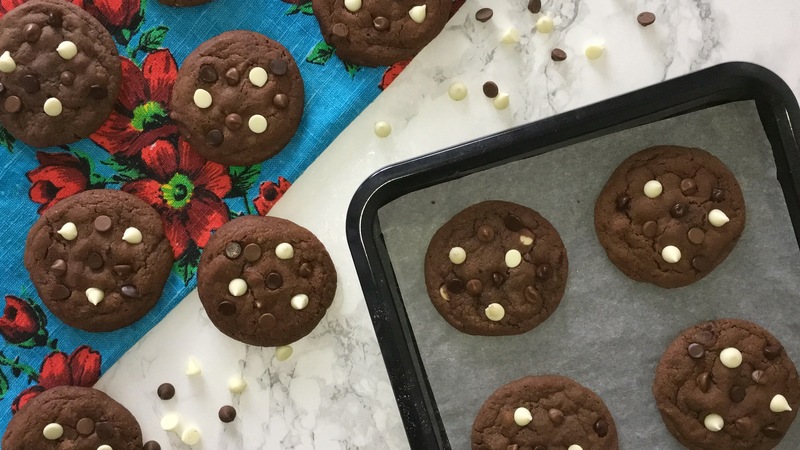 Once your cakes are fully baked, remove them from the oven and allow them to cool down in the tins for around 10-15 minutes or until the tins are cool enough to touch, then remove the cakes from the tins and allow them to cool completely. 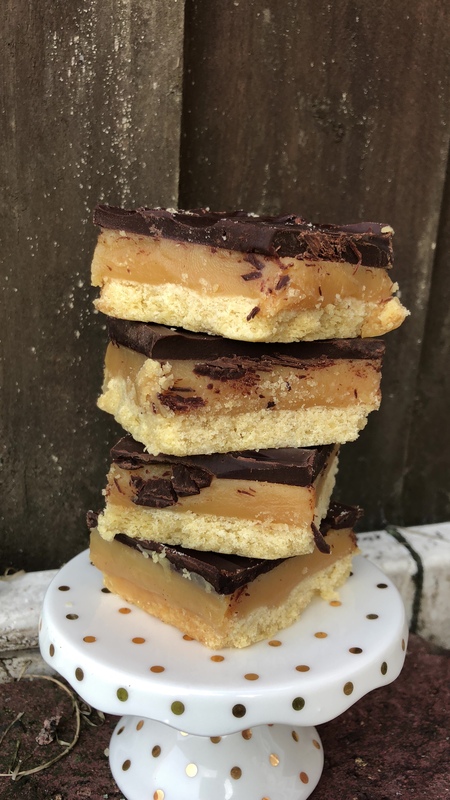 If your cakes aren’t flat on top, feel free to level them off using a cake leveller or a ruler and knife (whichever you have and/or works best for you). Now, we are almost done with the cake, so you can literally have your cake and eat it. 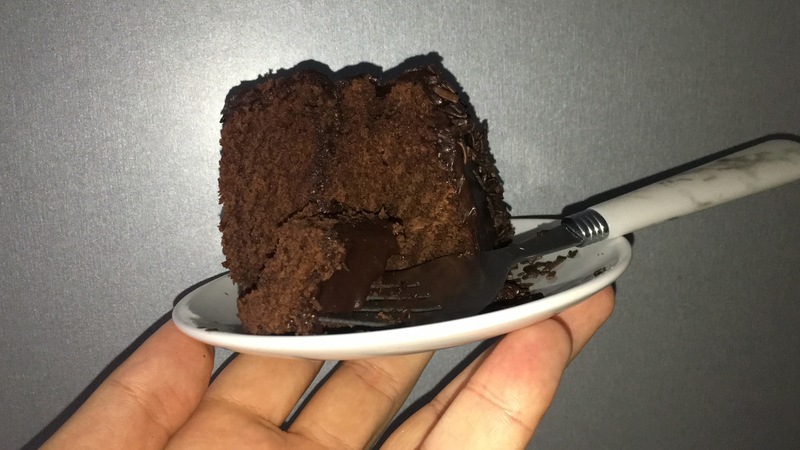 To finish the cake, take your chocolate icing out the fridge and give a mix to bring it back to a spreadable consistency and get your cake layers (plus any plate, cake stand or board you’re using to display the cake) and you’re set. 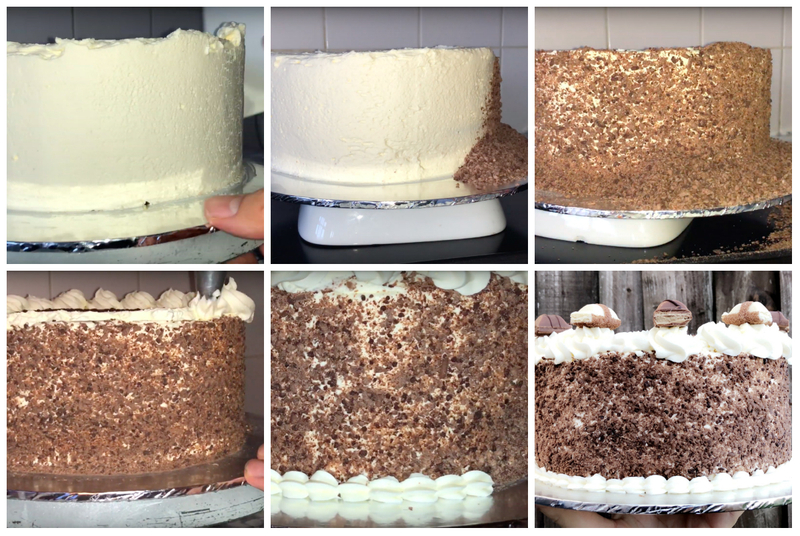 Use a small amount of the chocolate icing to secure the cake in place, the add a good amount of the icing into the centre of the cake and spread it out using a small cranked palette knife until the layer is smooth, then sandwich the cakes together and use the remaining icing on the top and side of the cake, getting the layer as even as possible. For the decoration, feel free to use whatever sprinkles you’d like, I went with chocolate bits but if you wanted to add a bust of colour you could implement that with the sprinkles and right now would be the perfect opportunity to write onto the cake, if you need of course. Andddd… You’re done! 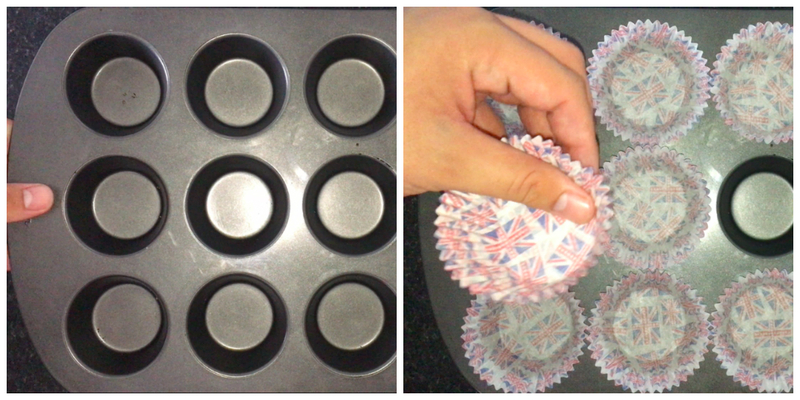 It doesn’t take too long and is easy to make, why not try it? 1 ½ tsp Baking powder. First things first, do some prep work. 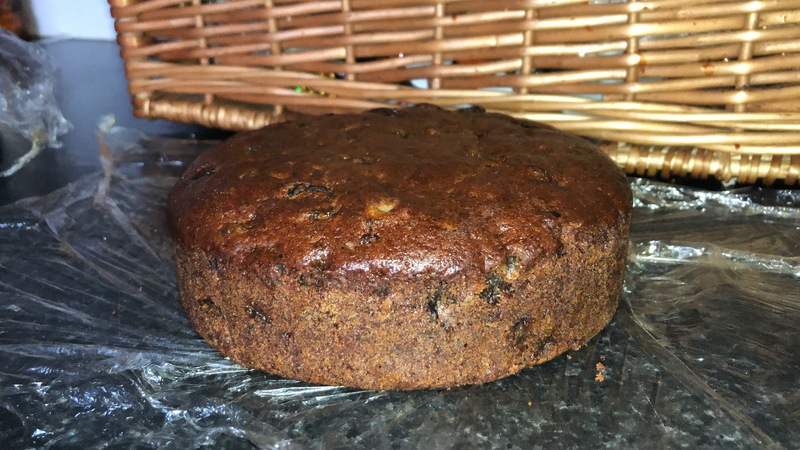 Preheat your oven to 180˚c/350˚f, weigh up your ingredients and line your 2 6 inch cake tins with greaseproof paper if needed and then set them aside until later on. 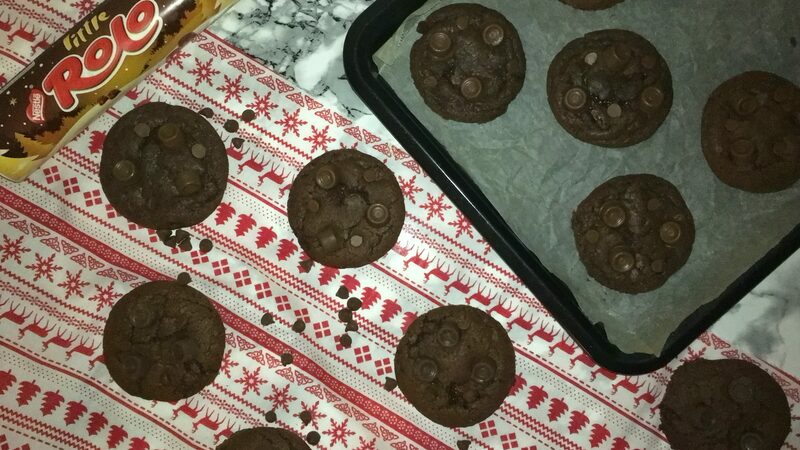 In a medium bowl, sift in the plain flour, cocoa powder, baking powder and salt. 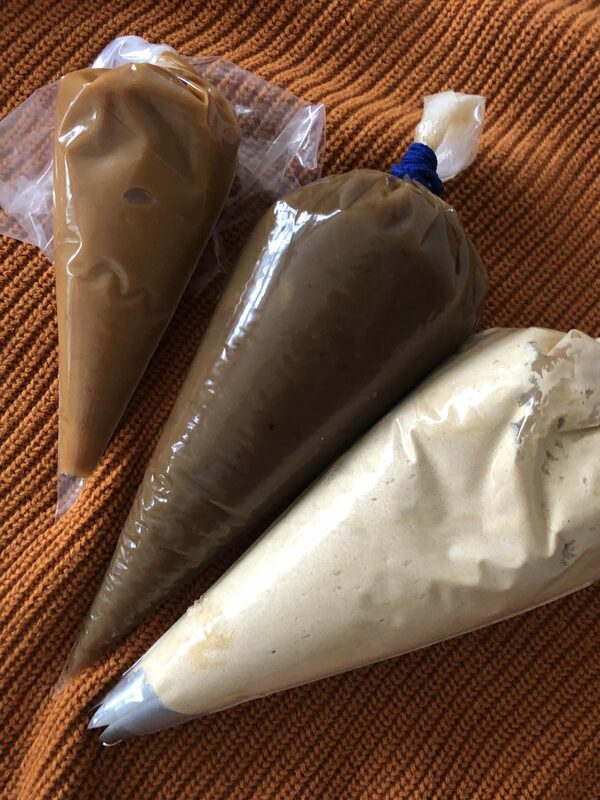 Then give it all a mix just to combine and do the same thing with the coffee, whole milk, eggs and vanilla, mix them to combine and then set them bot aside until needed later on. 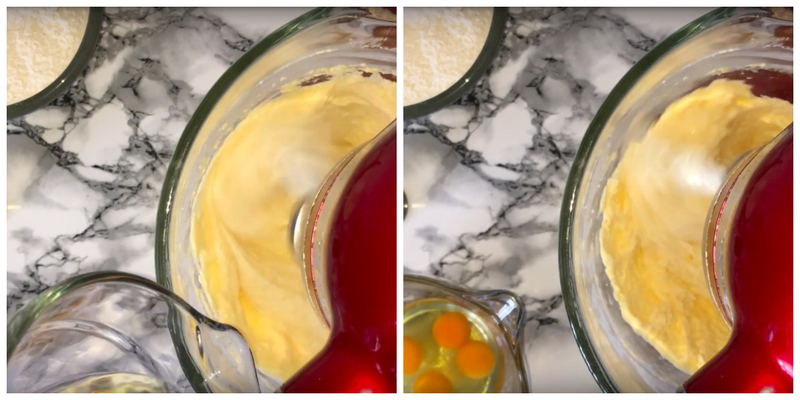 To start on the cake, place your butter and sugar into a bowl and beat them together until they come together over a medium speed, this takes a few minutes. 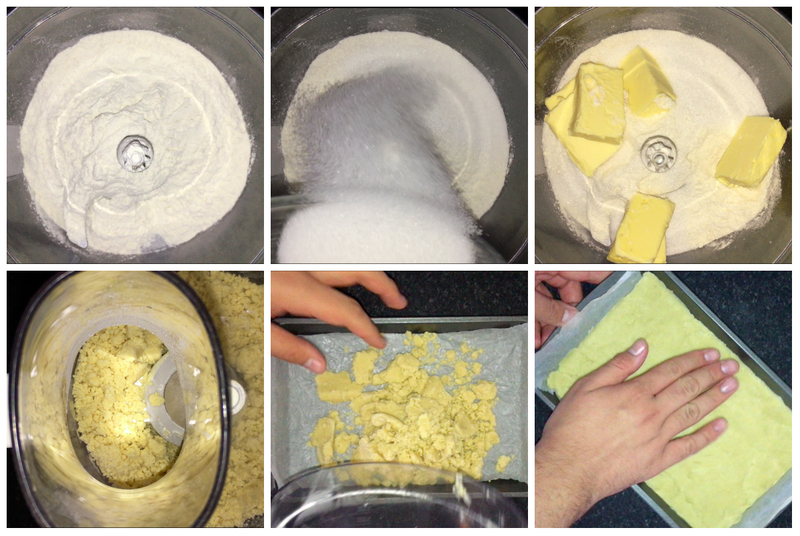 Once the butter and sugar are combined, add in your eggs, one at a time beating well inbetween each addition. Give the bowl a good scraping down, to work in any bits that may not have been earlier on. Add in around quarter of your dry ingredients and mix them in over a low-medium heat, just until combined. 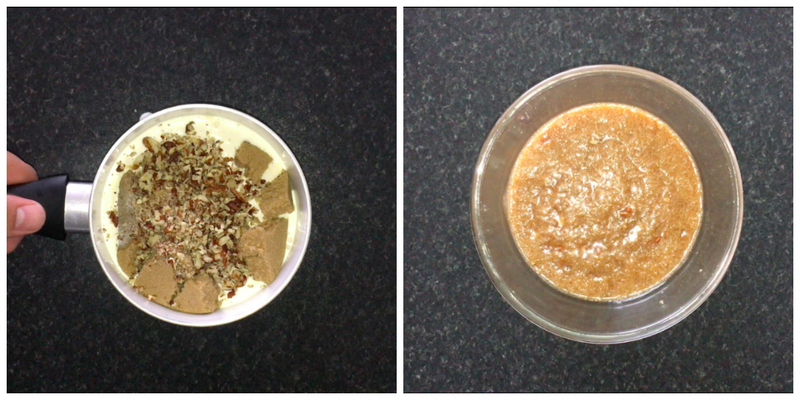 Then add in around third of the mixture and again, mix this on a low-medium speed until just combined. 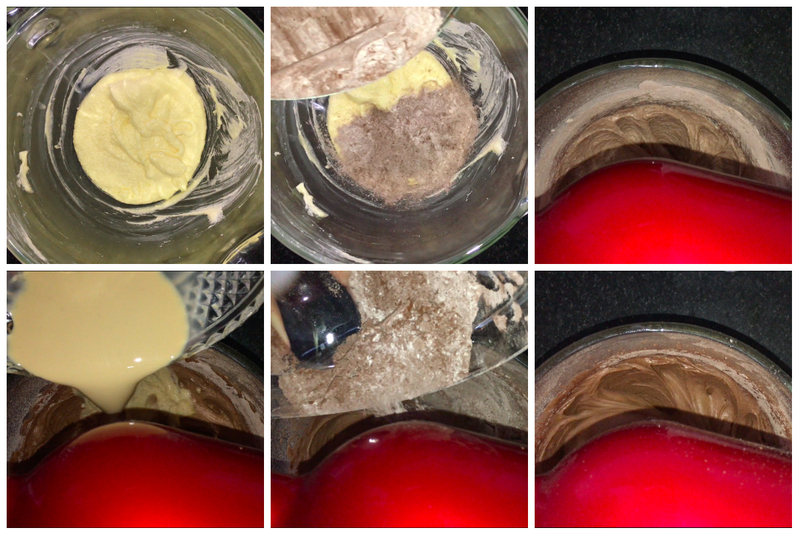 Alternate between the ingredients that you have remaining, remembering to start and end with the dry ingredients. 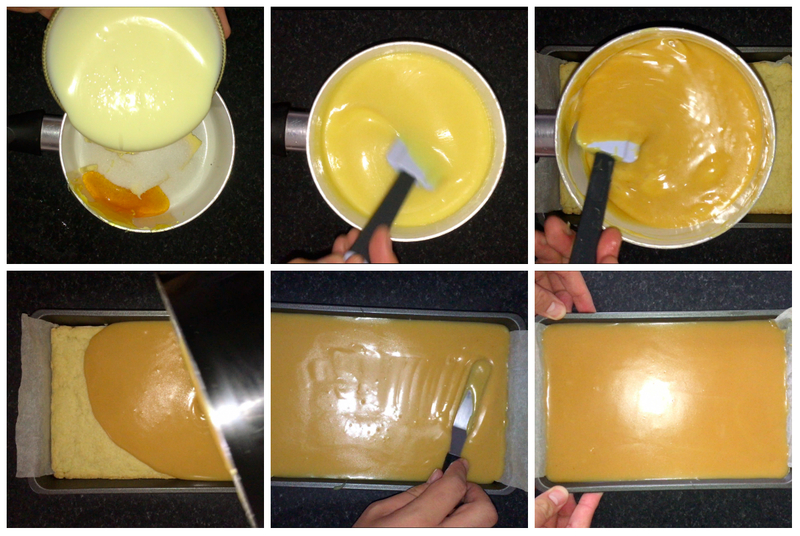 Split the cake mixture between the cake tins either by eye or using scales to get a more accurate measurement. Level the batter off as best you can using a small cranked palette knife and then place them into yoru preheated oven and bake for around 25-30 minutes (or until a tester comes out clean). 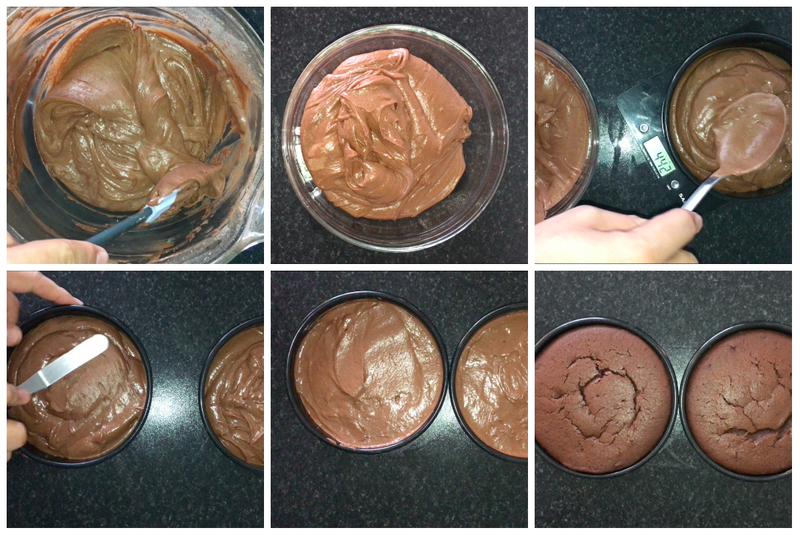 Make your chocolate icing while you wait for the cakes to bake. 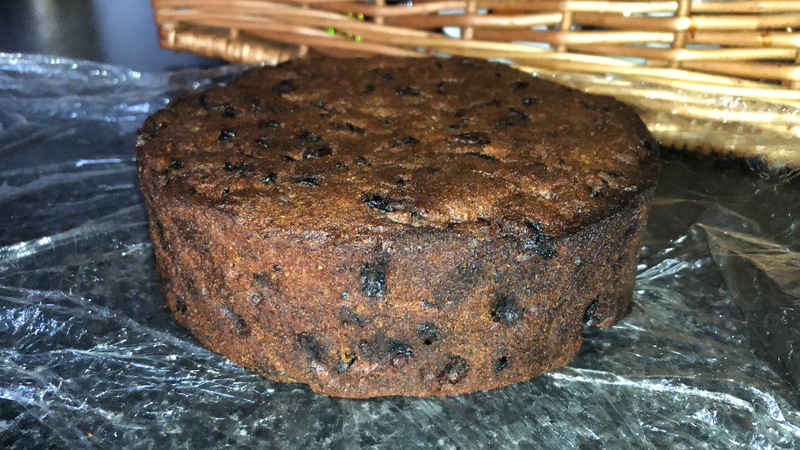 Once the cakes are fully baked, remove from the oven and allow to cool in the tins for 10-15 minutes (or until you can touch the cake tins) and then remove them from the cake tins and allow to cool completely before finishing the cake. To make the icing, it’s really easy. Get yourself a small saucepan and place the butter and cocoa powder into it and place the saucepan on the hob over a medium heat. 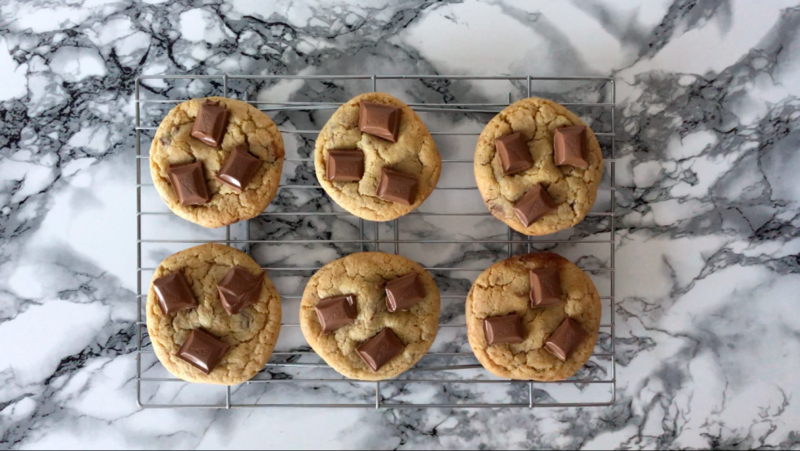 Once you start seeing the butter melting, start mixing them together so nothing burns and everything melts and comes together, it should be smooth and glossy. 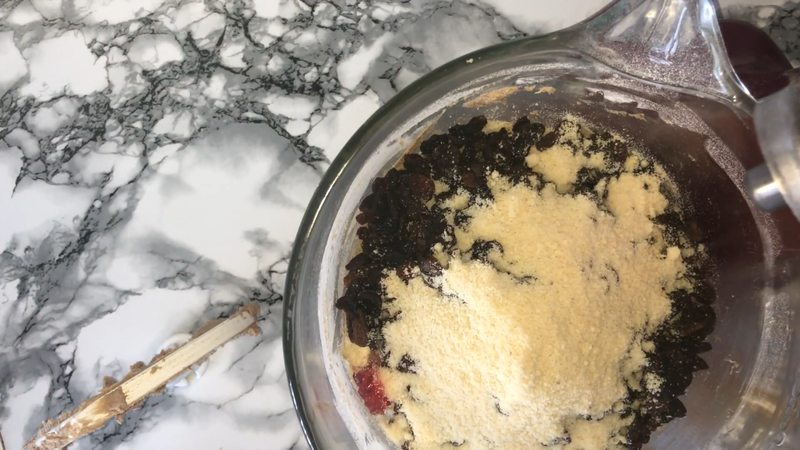 Once you’ve got a smooth and glossy mixture, transfer it from the saucepan into a small mixing bowl and add in the icing sugar and give that a good mix until its fully incorporated. 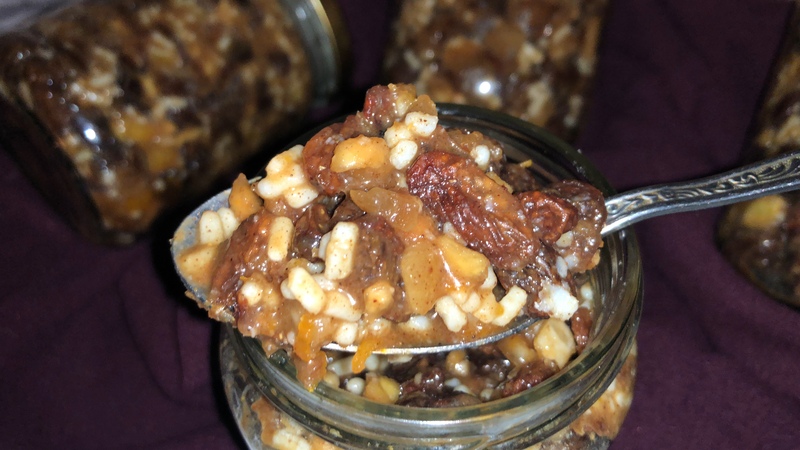 Next you’ll want to add in a tablespoon of whole milk and mix until its fully incorporated. 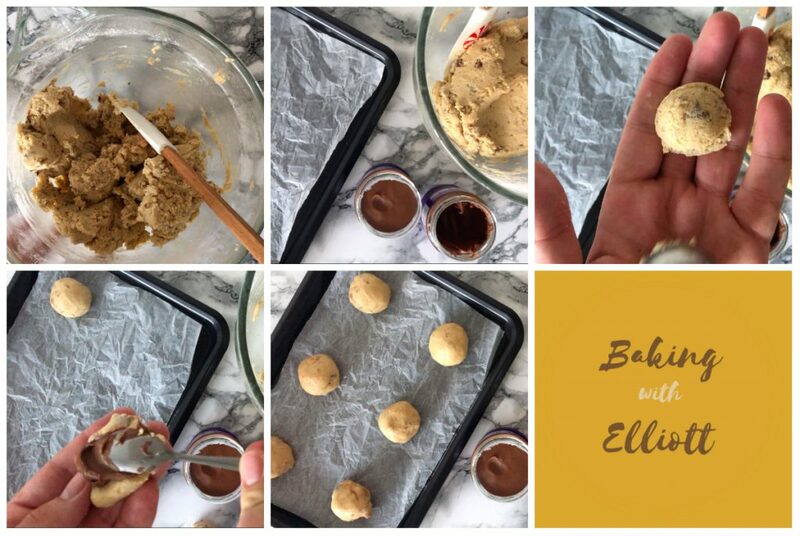 Repeat this until you mixture is smooth and spreadable, it should also look smooth. Place the bowl into the fridge, this will help firm up the mixture a little. 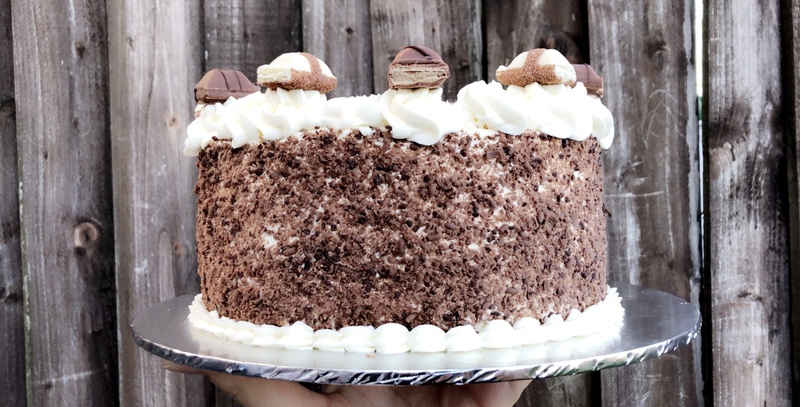 Take your chocolate icing out the fridge and give a mix, just to bring it back to its best spreadable state and don’t forget to get your cake layers (along with any plate cake stand or board you intend displaying the cake on). Spread a small amount of the chocolate icing onto the base and place your layer of cake onto the icing (this is to secure it in place). 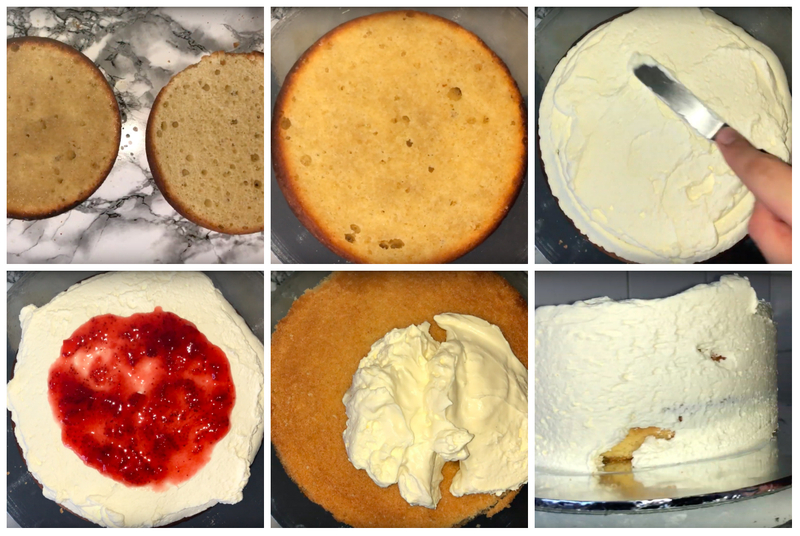 Add a good amount of the icing into the centre and level it off as best you can using a small cranked palette knife and then sandwich the other cake on top and finish the cake using the remaining icing. Feel free to use any sprinkles or other decrations to finish the cake, it’s really up to you how you want to finish the cake off. That’s it, now you can help yourself to a slice, make sure you like chocolate. Otherwise this might not be for you! Thank you so much for reading!